What I Stand For is full of uplifting inspiration. Take a stand and speak out about your beliefs, strength, love and courage. 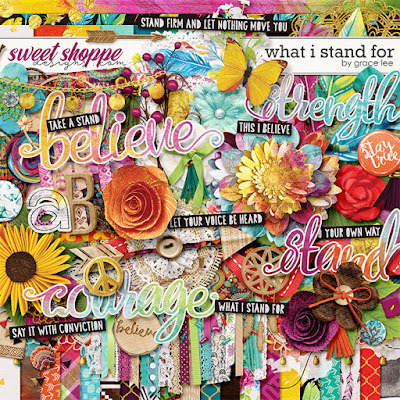 This beautiful kit with a bohemian vibe will empower you to make colorful, bold layouts about the things that matter most. The combination of bright versatile colors and warm wood tones make this a must-have collection!